A new museum dedicated to Dutch maritime activities just opened on the island of Texel in the Netherlands. Inspired by the traditional architecture of the island, the Maritime and Beachcombers Museum (also know as Kaap Skil) was designed by Mecanoo Architecten and features the world's largest maritime maquette. 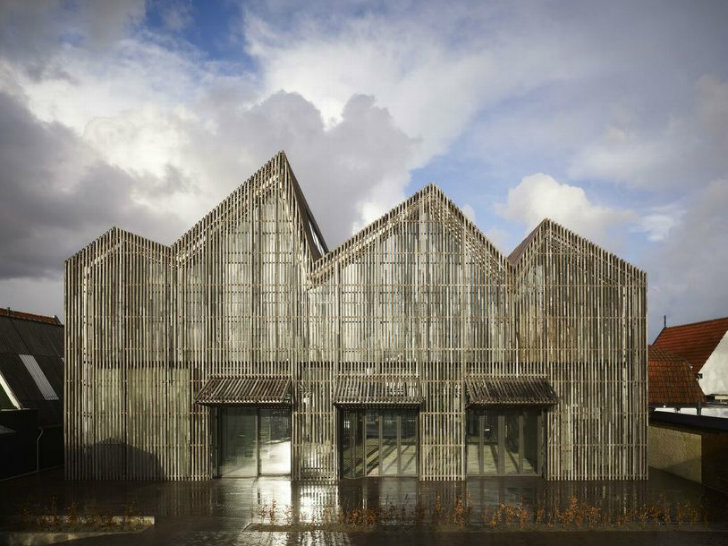 The gabled roof structure is clad in reclaimed wood slats and features an exhibition space flooded with natural light. The island of Texel was once a popular holdover spot for the Dutch East India Company on their way out of Amsterdam before setting sail. Ships would anchor near here to wait for good weather and work on repairs, and the island became an important place for the shipping industry. Kaap Skil, or the Maritime and Beachcombers Museum is dedicated to that legacy and the history of the island. Inside, you can see traditional fishermen’s houses, learn how rope was made, how fish was smoked and see the world’s largest maritime maquette. The model shows the Rede van Texel in the seventeenth century full of sailing boats anchored and waiting for favorable winds to set sail to the “Orient”. The three-story museum features 4 gabled roofs inspired by the traditional architecture of the island. The exterior rain screen is made from reclaimed wood salvaged from the North Holland Canal. The hardwood sheet pilings were cut down into boards to form vertical slats, which protect the building from the weather and allow natural light to filter though. 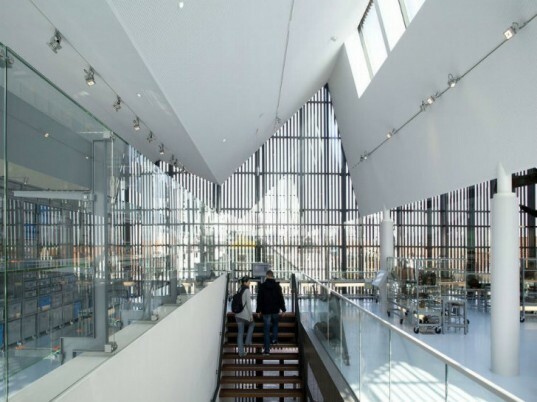 Behind the rain screen is a glass facade, which ensures the top two floors are filled with natural daylight. Inside, the museum holds two exhibition spaces, a shop, and a restaurant. The island of Texel was once a popular holdover spot for the Dutch East India Company on their way out of Amsterdam before setting sail. Ships would anchor near here to wait for good weather and work on repairs, and the island became an important place for the shipping industry. Kaap Skil, or the Maritime and Beachcombers Museum is dedicated to that legacy and the history of the island. The model shows the Rede van Texel in the seventeenth century full of sailing boats anchored and waiting for favorable winds to set sail to the "Orient". The three-story museum features 4 gabled roofs inspired by the traditional architecture of the island. The exterior rain screen is made from reclaimed wood salvaged from the North Holland Canal. The hardwood sheet pilings were cut down into boards to form vertical slats, which protect the building from the weather and allow natural light to filter though. Behind the rain screen is a glass facade, which ensures the top two floors are filled with natural daylight. Inside, the museum holds two exhibition spaces, a shop, and a restaurant. The museum's design was inspired by the architecture of the island and the traditions of using driftwood and recycled materials for construction. Floor plans of the museum. The building's form takes concepts from surrounding architecture as well as the water and the waves.